As Christmas gets closer and closer, more and more events start popping up around the place celebrating the festive season. Pretty soon, though, your calendar will fill up fairly quickly and it may even get to a stage where you're doing something festive every day. Well, let's hope that happens because you only get to do it once a year! 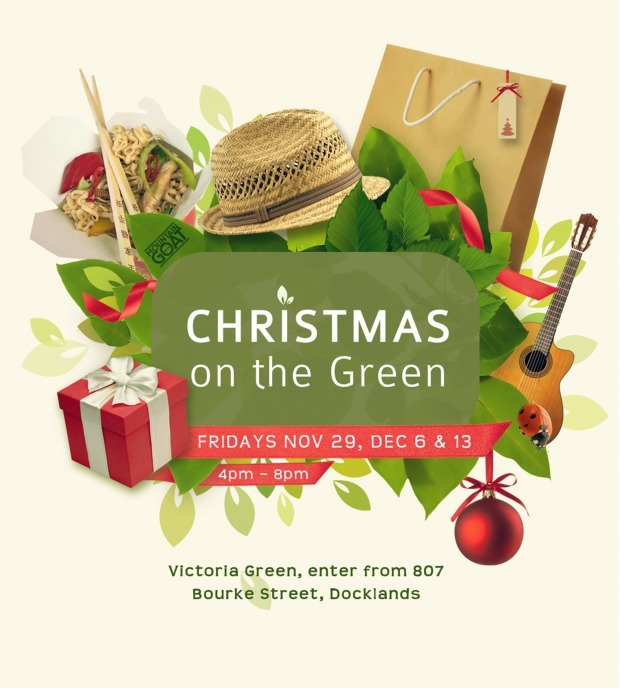 Speaking of festive events, Christmas on the Green at Victoria Green is another fantastic festivity that no one should ever miss out. 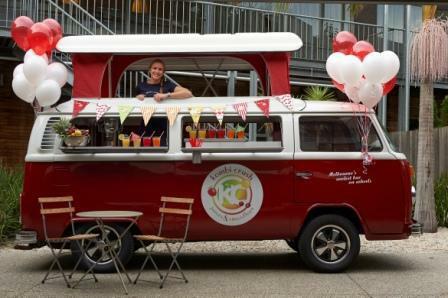 To ensure that no one misses out, the organiser of this event, Destination Docklands, has made it so that this event runs on three fabulous Fridays - 29 November and 6 and 13 December. How good is that? Starting from 4pm, Victoria Green will be full of frivolity, vitality, laughter and fun. With excellent live music energising attendees all around, smells of scrumptious food wafting through the grounds, roving entertainment to give you lots of giggles and chuckles, and a wonderful garden bar supplying gallons of thirst-quenching drinks, there's no better way to celebrate this jolly season. What's more, there will be heaps of stalls offering you all kinds of things from organic gourmet tea, to beautifully handmade jewellery, prints and watercolour paintings, to delightful handmade puddings, to organic chilli sauces. This is so perfect for those needing any last minute Christmas gifts. And don't worry, we have your food and drinks covered. Choose from a satisfying range of premium drinks from the juice bar, mouth-watering gourmet burgers, irresistibly delicious cupcakes and macarons as well as preservative-free beers. To keep things exciting, there will be a different band providing live music each week: 29 November with Phoebe and the Night Creatures, 6 December with Ibis and 13 December with Blush. So if you've been once, and it was so good that you are contemplating on returning, then you definitely should. Entry to this event is absolutely free, which is another jolly reason why you should attend. So hop on the City Circle Tram (which is also absolutely free) or drive to Victoria Green (5000 parking spaces available) and see you there! For more information about this event, please see their website.